Negar Kharkan is a virtuoso of the Kamancheh, a composer and an author. 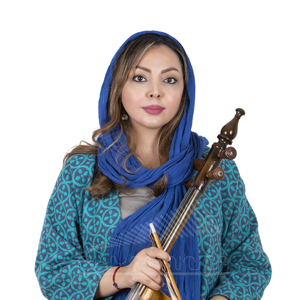 She is renowned within Iran and the diaspora as being one of the most gifted Persian classical musicians of her generation and is unique in being the only musician in Iran, female or male, to have worked with all the most acclaimed Persian classical Maestros and ensembles: Maestro M.R. Shajarian,Maestro Dariush talai,Maestro Ardeshir Kamkar, Maestro Sh. Nazeri and Maestro Hossein Alizadeh. Negar Kharkan has performed in some of the most prestigious concert halls around the globe on numerous extensive world tours. ..